brandflakesforbreakfast: pizza, pizza. pizza pizza pizza! pizza, pizza. pizza pizza pizza! 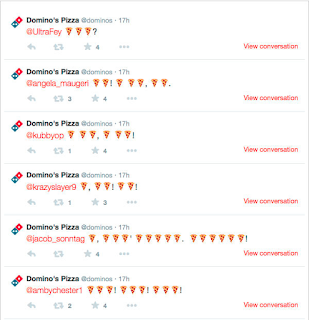 Ever talk in pizza slices? No? You should try it – it’s fun, but be warned that if you do, you may end up with a whole lotta cheese, sauce and dough! 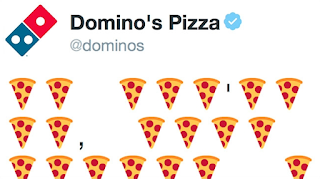 Starting May 20th Domino’s will dominate Twitter with a tool that allows consumers to link their Twitter accounts to the pizza brand’s online ordering tool. 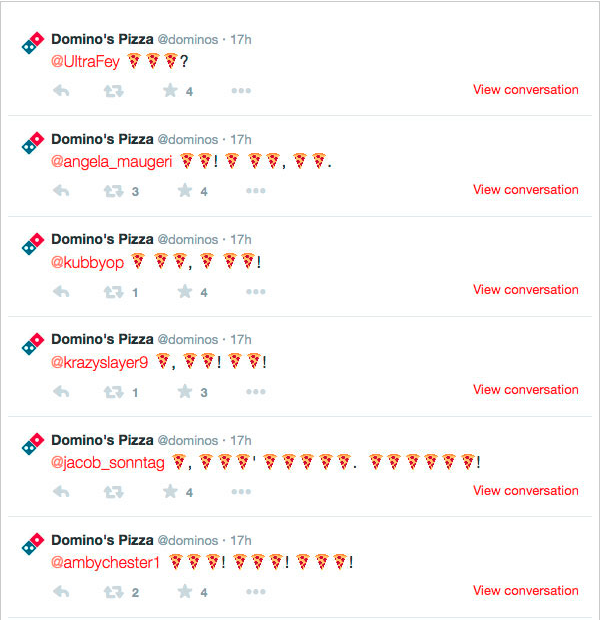 Only thing cooler than that is their Twitter promotion where they Tweeted only in pepperoni slices. Nom nom nom. Pizza please!